Searching for a Boston Terrier? Are you looking to own a Boston Terrier? Here is a brief information about this lovable companion dog. There are different claims on how the Boston Terrier came to be. One report suggests that Boston Terriers existed in the late 1800s, with their origin traced back to Boston, Massachusetts. It was when certain wealthy families crossed Bulldogs with the now extinct English White Terrier to develop a new bull-fighting breed. Other stories credit a Bostonian Robert C. Hooper who brought the breed (Bulldog/English Terrier cross) named Judge from England in 1865. Another account suggests that Judge was purchased by Hooper from another Bostonian, William O'Brian, in 1870. 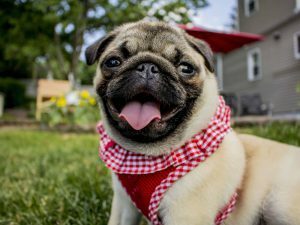 Judge weighed over 27.5 pounds and was interbred with French Bulldogs paving the way for the Boston Terrier known today. 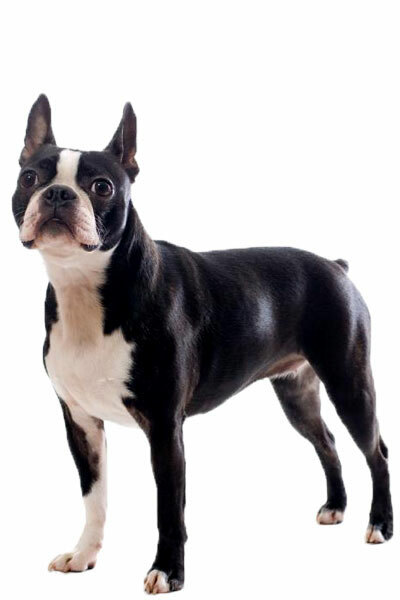 In 1888, the first Boston Terrier was shown and exhibited in a class under the "Round Headed Bull Terriers of any colour." Thus at one point, the Boston Terrier was known as the Boston Round Head. It was in 1893 when a Mr J Watson or a Mr H Lacey came up with the name Boston Terrier for the breed that led to the founding of The Boston Terrier Club in America. The Boston Terrier is a small but solidly built, muscular and well-balanced dog. It sports a square-looking head, distinctive wide and erect ears and slightly curved neck. The muzzle is short and without wrinkles. Boston Terriers belong to the brachycephalic (short head) class of dogs. Like other brachycephalic dogs, the Boston Terrier has a slightly undershot bite that gives it a pushed in face. It has a broad chest with a boxy appearance. The tail is also short and set low on the hindquarters. According to breed standards, Boston Terriers should weigh 10 to 25 pounds and should stand 38 to 43 centimetres tall at the withers. When it comes to the coat, the Boston Terrier wears a short, smooth and fine coat that comes in three colours: black, seal or brindle. It also should have a white colour covering its chest and muzzle, a band around the neck, half on its forelegs up to the hocks of the rear legs, and a white blaze between the eyes. Because of its short coat that sticks to their skin, the Boston Terrier is easy to groom. Weekly brushing with a firm bristle brush will do. Occasional baths with dry, powder shampoo and a damp cloth are also recommended. The rest is basic grooming. Trim the nails every few weeks since long nails tend to get caught on things, which is painful for them. Also brush their teeth regularly to maintain oral health and avoid dental problems. A few characteristics to describe a Boston Terrier is enthusiastic, sweet and intelligent. Boston Terriers has a merry sense of humour and are clownish. 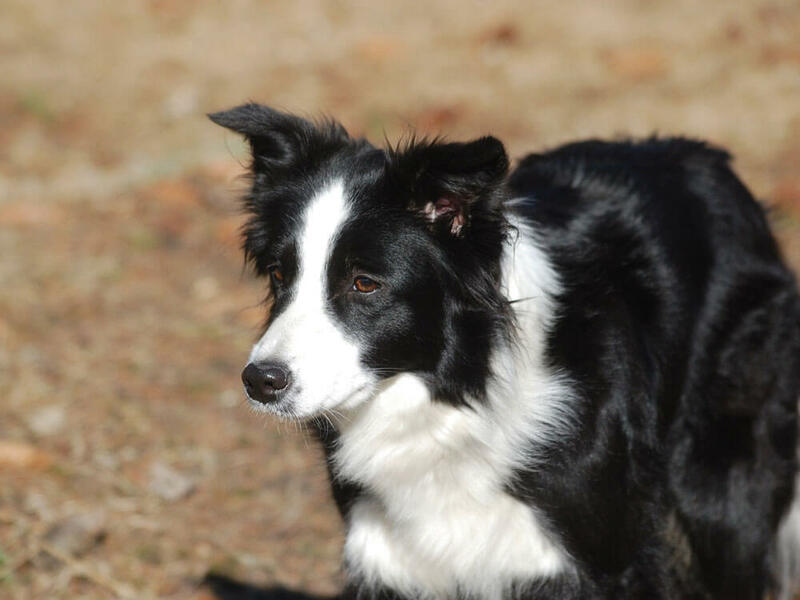 This adorable breed loves to be the centre of attention and likes to be with people. Boston Terriers are certified lapdogs and will be content to stay indoors and cuddle or snuggle. They can also be stubborn, persistent and hyperactive which often lands them (and the owner) in trouble. Early socialisation and exposure to people, sights, sounds and experiences when young is essential to control these natural impulses. On the other hand, Boston Terriers have an eager-to-please personality that makes them easily trainable. Despite being small, they are not excessive barkers and only bark when necessary. Their sensible attitude towards barking make them excellent apartment dwellers. They mainly love being around people of all ages and animal pets both canine and non-canine if properly socialised. Still, it is vital that playtime is supervised to prevent any untoward incidence. The Boston Terrier is an excellent choice for a family pet in a home where one person can keep them company or they develop separation anxiety if left alone. A typical serving of an adult Boston Terrier is 0.5 to 1.5 cups of premium quality dry dog food per day. However, it is best to consult your veterinarian or the breeder just to be sure. The amount of food serving is relative to the dog's age, size, build, activity level and metabolism. There are a lot of information found online but remember that each dog has unique nutritional needs. As with any dog, feed your Boston Terrier good quality dog food high in animal protein. Recommended diet consists of grain-free dry kibbles containing animal meat such as chicken, beef, and salmon. Boston Terriers love to eat and have ravenous appetites so they may become overweight. To avoid this, make sure you don't leave out food all day (free-feeding), instead measure and divide the meals. All dogs are prone to develop genetic health problems. For Boston Terriers, they potentially can suffer from genetic disorders such as Hip Dysplasia, Elbow Dysplasia, Hypothyroidism, von Willebrand's disease, Cataracts, Cherry Eye, Patellar Luxation, Heart murmurs, Allergies, and Megaesophagus. Boston Terriers do not have excessive exercise needs. They can stay inactive indoors and would love nothing better than to cuddle or snuggle with their family. However, Boston Terriers also enjoy short walks and playtime in the yard. The cost of owning a dog is more than the expense of the food. Unfortunately, a lot of people make this mistaken assumption when buying a dog, which often leads to financial troubles along the road. he question we are about to answer is "Can you afford a Boston Terrier?" First, consider the cost of a Boston Terrier puppy, which will be around £700 to £1000 depending if it's a well-bred pedigree puppy. Then you have to consider the type of pet insurance to get. For a basic cover, it's around £24 a month while a lifetime cover will cost you £55 a month. You may think that paying for a pet insurance will steer you clear from vet bills. Wrong. Veterinary consultations such as regular health checks, initial vaccinations, boosters and neutering can quickly add up to £1,000 a year, outside the insurance coverage. On top of this, you have to pay for dog supplies and equipment to make sure your Boston puppy is well settled in. These include a leash, collar, bed, bowl, toys and more. You will spend roughly £70 to £100 a month, excluding insurance and other medical treatments the insurance does not cover. Is a Boston Terrier Right for You? Boston Terriers are couch potatoes and are content to stay indoors snuggling. They are low maintenance and easy to groom. They're great apartment dwellers and do not bark much. Boston Terriers are also great watchdogs. They can suffer from separation anxiety if left alone for long periods. Boston Terriers are great for first-time dog owners. Stunning Kc Registered Red & White Babies!